The dual channel ABS version of the Royal Enfield Thunderbird 350X. Hat tip to automotive enthusiast and Youtube vlogger Abinash Panigrahi for sharing this exclusive video. Royal Enfield Thunderbird 350X, launched earlier this year without ABS, has now seen the addition of this safety feature. 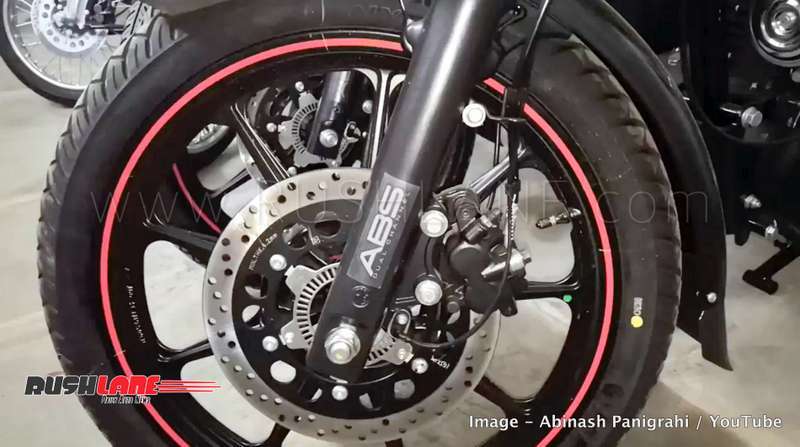 This has been added in compliance with the Government of India mandate of all new two wheelers with engine displacement of 125cc and above which will essentially need to have ABS – Anti Lock Braking System starting from April 2019. Royal Enfield Thunderbird 350X ABS variants have started making their way to company showrooms across the country. The Royal Enfield Thunderbird 350X is currently priced at Rs 1.57 lakhs and the addition of ABS should see a revision in prices upwards by Rs 10,000 as compared to the non-ABS variant. Like its earlier non-ABS counterpart, Royal Enfield Thunderbird 350X ABS also targets younger and bolder urban riders with sporty features and exciting color options of Getaway Orange and Drifter Blue. It sits on 9 spoke alloy wheels measuring 19” front and 18” rear and fitted with 90 section front and 120 section rear MRF Nylogrip Zapper tubeless tires. It gets a contrasting color on the fuel tank, a flat handle bar design which adds to a more aggressive riding stance and gunslinger style seating with split grab rails. Royal Enfield Thunderbird 350X ABS also gets a projector headlamp, dual disc brakes, a 20 liter fuel tank and informative instrument cluster. It gets telescopic forks in the front and twin gas charged shock absorbers at the rear while braking is via 280mm disc brake in the front and 240 mm disc at the rear. Apart from the addition of ABS, engine specifications also are the same and the Royal Enfield Thunderbird 350X ABS gets its power via a 346cc, single cylinder engine offering 19.8 bhp power at 5,250 rpm and 28 Nm torque at 4,000 rpm mated to a 5 speed transmission. This engine is capable of reaching a top speed of 110 kmph with mileage at 30 kmpl in city limits going up to 40 kmpl on the highway.